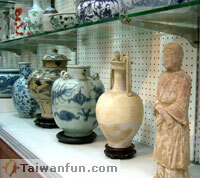 For 17 years, Chong Ya Xuan has been a well-known name in Taichung's antique market. 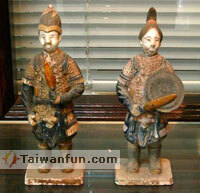 In this small store visitors can find assorted cultural relics, antiques, paintings, calligraphy, jade pieces, home decor, coins, jewelry, and all kinds of things from the Qing to Tang dynasties. 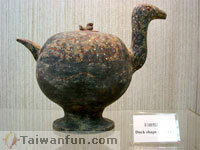 Moreover, there are also some ceramic goods and fine china from long before the Ming dynasty. Although a lot of the regular customers here are other antique dealers and very serious collectors, the owner, Ms. Quan, assures that everyone is more than welcome at her store--whether you are already an antique enthusiast or just starting your collection. 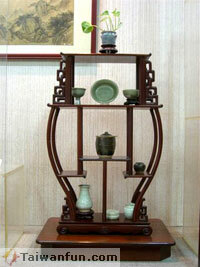 Quan considers antique collecting a relaxing way to understand the values and aesthetic perceptions of Chinese culture. 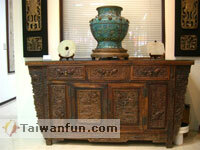 Items range in price to a couple thousand to a couple hundred thousand NT dollars. Every two months, Quan picks out a new theme, based on a certain dynasty, and displays the most outstanding and prized works that fit that theme. 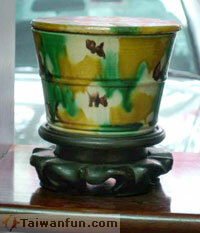 Even if you don't know anything about antiques, this is a great place to go for information.